January 29, CHICAGO, IL – Ryan Specialty Group (RSG) is pleased to announce the launch of its first Latin American focused managing general underwriter, Capital Bay Underwriting, LLC. 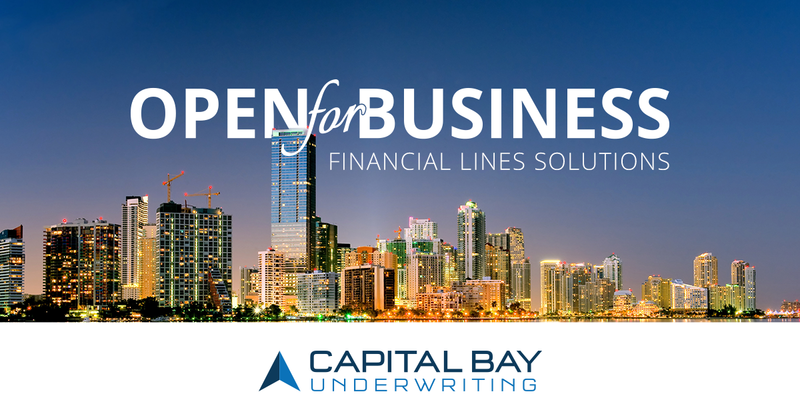 Capital Bay’s central emphasis is Financial Lines (re)insurance products for Financial Institutions and Commercial Entities across Latin America and the Caribbean. Capital Bay is a part of RSG Underwriting Managers (RSGUM), the managing general underwriting division of Ryan Specialty Group. As President and CEO of Capital Bay, Pascal Alvarez is responsible for all aspects of the business growing initially in Latin America and the Caribbean, focusing on D&O, Professional Indemnity and Crime. David Gonzalez is Capital Bay Underwriting’s Chief Underwriting Officer. Capital Bay is located in Miami, Florida, is supported by ‘A’ rated or better carriers and are a Lloyd’s Coverholder. Visit Capital Bay Underwriting at www.capitalbayuw.com.